Ridesharing is one of the most revolutionary advancements in the modern transportation industry. It offers customers unprecedented ease of access through simple phone applications, allowing anybody to call for a ride, see information about their driver, and even track the progress of the vehicle. It has opened a whole new world to taxi drivers as well. 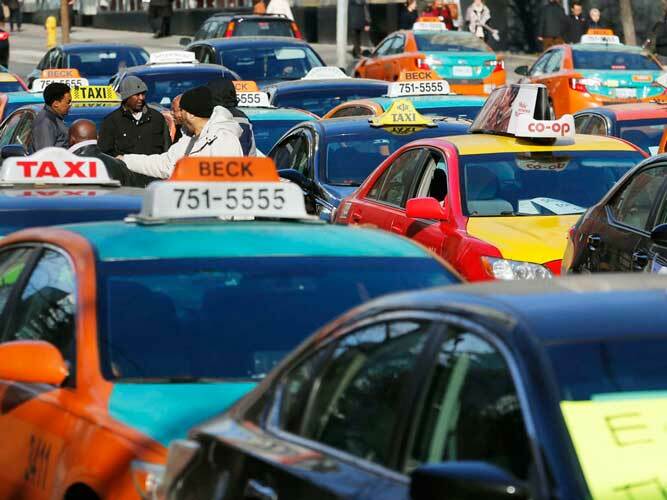 Before ridesharing if you wanted to be a taxi driver, you would have to go through a lengthy and tedious application process, then you’d be given a rickety old cab, pay most of your money to the taxi company, and hope you made some extra tips to cover your bills. With the advent of companies like Uber and Lyft, anybody can use their personal vehicles to make an income. Whether you want to work part-time or full-time, you get to decide what time you clock-in and how many hours a day you work. Sounds pretty great right? So who’s the best company to drive for? Who’s better to hitch a ride with? 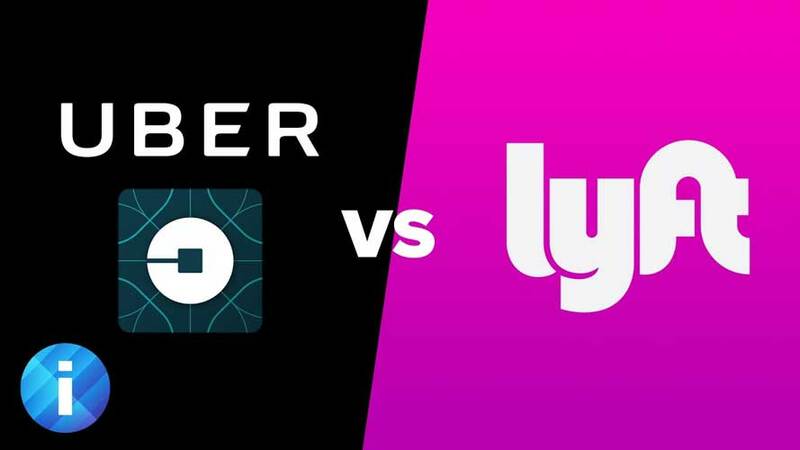 In the following article we’re going to examine the differences between the two largest ridesharing competitors, Lyft vs Uber, and take a look at what makes them great, and what makes them not so great. Both Uber and Lyft both offer certain advantages and disadvantages in their perspective areas. These days, drivers often drive for both companies to maximize their income. They figure out which companies they can make the most money on a particular day or time. Below, we will lay out some of the information that you need to consider when deciding which company to drive for and when you should drive for both. Obviously, location is a big factor when deciding who to drive for. Lyft is slightly newer to the ridesharing scene than Uber is, and it doesn’t have as big a handle on the market as it competitor. Statistically, Uber tends to be far more popular in rural areas outside of the reach of big cities. Customers can usually hail a ride within twenty minutes even in small towns. In large metropolitan areas, however, Lyft offers much fiercer competition, rivaling and sometimes even trumping the popularity of Uber. So check your city and see what the support rate is for both. Another great thing about hard competition is that both companies try to one-up the other by offering better incentives for their drivers. We will go into these incentive programs below. Let’s face it, the only reason you’re going to purposefully choose to put hundreds of miles a day on your car is that you want to make money. So who are you going to make more money with? So it totals out to right around $2 per mile for an average trip, and the driver usually averages to keep 70-80% of this after the rideshare company takes their share. The next thing to look at is surges. Surges are times of the day where there is a high demand for drivers. These are usually lunchtime, rush hour, weekends, or whenever the bars and nightclubs close. The surge prices are usually 1.5 to 2 times the base rate per mile, but in extreme situations can go up to 5 times or more. The surges are what paper-chasing drivers live for. These are the times when they can really make good money. If a driver plays his cards right, he can make more money on a Friday night surge than he could all week. This is where driving for both companies can pay out. The fewer drivers there are on one network, the higher the surge amount is. 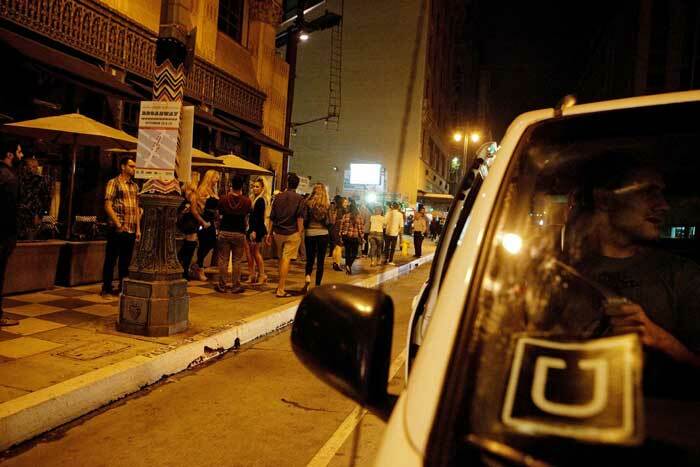 It pays to do your due diligence and figure out whether Uber or Lyft is busier in your city on a particular night. Statistically, though, Lyft isn’t always as popular and well-known as Uber is, so there is the potential to make more money with that if there’s a high demand in your city. This incentive is competitively offered by both Uber and Lyft to encourage drivers to stay active even during typically slower times. It does the rideshare company’s reputation no good if prospective riders can’t find a vehicle. That means as a driver, you are still making your fare money, but you have a guaranteed hourly pay for a period which is usually around three or four hours. These bonuses can be smaller at around $10 per hour, but they can go up exponentially to upwards of $50 per hour. This is an incentive offered by Lyft and gives drivers extra money based on how many trips they gave in a given week. However, to be eligible for this you have to drive a vehicle that’s 2010 or newer. Quest is an Uber incentive that offers drivers extra bonuses for getting passengers to their destinations within a certain amount of time. Besides getting the Quest bonus, passengers are far more likely to tip extra when they get to work on time. Power driver is an incentive by Uber that’s very similar to Lyft’s power bonuses, with one key difference; drivers have to have given a certain number of rides to get the bonus. Lyft offers bonuses based on a percentage of rides given, but Uber offers larger bonuses, with harder to meet goals. So if you’re a fan of challenges, this gives you a great incentive. Boost is another Uber incentive that can really make drivers a lot of money. What boost does, is it multiplies your trip fare by a guaranteed amount, very similar to surging. The other great thing about boost is that it stacks with the surge, so if you can get lucky enough to get both at once, you’re guaranteed to make some good money. Traditionally all cab drivers made their extra money in tips, and even with Uber and Lyft’s incentives that we reviewed, having the ability to make some extra tip money can be a dealbreaker. Years ago when both companies were new on the scene, Lyft pioneered the tipping feature. Every time a customer got out of the car, they received a quick pop up asking if they wished to tip their driver and give them a quick review. As a result, Lyft customers got into the habit of always tipping their drivers. Uber on the other hand, only just recently implemented the ability to tip within their app. Beforehand that the only option was to tip in cash, and these days people don’t carry around paper bills as much as they used to. As a result, Uber customers got used to not tipping their drivers for several years. Even with the new ability to tip within the Uber app, customers have become so accustomed to not tipping that drivers are far more likely to get stiffed. On average, Lyft drivers make a lot more tip money than Uber drivers do, so if tips are important to you, make sure you take this into consideration. Having satisfaction with the company one works for is an important factor to keep in mind. Overall, Lyft drivers seem to be far more satisfied with their experience. According to a recent survey in 2017, 76% of drivers were satisfied with their Lyft experience, whereas only 49% of Uber drivers reported a positive experience. A lot of this may have to do with the fact that Lyft drivers earn around $1.50 to $2 more per hour once you include the extra tip money that they make, and so this satisfaction percentage could change over the course of the next year now that Uber has implemented tipping into their app. Many people who have driven for both companies claim that Lyft offers a better driving experience, and has more incentives readily available. Looking closer at individuals who work for both companies, you’ll notice that they typically drive more for Uber than they do Lyft, but prefer to drive for Lyft over Uber. This indicates that if Lyft were to grow bigger and offer the volume that Uber currently provides, that Lyft could have a good chance of massively trumping out Uber in driver ratings. As you can see, the main difference is that Lyft requires a slightly newer vehicle, but this is all dependent upon location. Certain states will require you have a newer vehicle to meet certain emission and safety standards, so make sure to double check your state’s specific regulations. Speaking of vehicles, let’s compare Uber and Lyft regarding their luxury service levels that they provide. Often if you have a luxury vehicle that meets minimum requirements, you can make a hefty bonus by giving rides to high-end clientele. Now, these services are relatively the same, so you may wonder why I said earlier that Uber has the advantage in this field. This is because of one key factor; Uber offers their luxury services in almost every major city, whereas Lyft only provides their luxury services primarily in Toronto and the Greater Toronto Area in Canada. They do however have plans to expand to most major US cities by mid-2018, but until then Lyft drivers are out of luck if they had hoped to provide luxury rides outside of Canada. As you can see, pretty similar, with a couple of differences. Uber requires three years of driving experience for applicants under the age of 23, and Lyft requires all their prospective drivers to pass a driving evaluation, and complete a training day with a Lyft associate. Ubers higher age restriction and Lyft’s driving test are both ways of ensuring that their drivers are capable of performing their job safely. If either company were to rack up a high percentage of accidents, it could be detrimental to their future. Maybe you’re not trying to drive, and instead, you’re just curious as to which ridesharing company provides the best experience for the riders. Outside of the special surge pricing times (or “prime time” as Lyft calls it), reports have shown that on average, getting a ride from Lyft is a little bit cheaper than Uber in major cities like Los Angeles, San Francisco, and New York City. Granted the differences between rates is marginal at best. Due to the high competition between Uber and Lyft, they are always trying to provide better, cheaper service than the other, so any major discount offered by one is quickly countered by a discount or offer by the other. All fees included, the average cost totals out to around $2 per mile riding with both Uber and Lyft, not including any additional surge pricing. As mentioned above, Lyft has always provided a way for riders to tip their drivers from their app, and Uber has recently followed suit. Should you wish to tip your driver, you will be given a quick pop-up in your Uber or Lyft app after you are dropped off which prompts you to rate and review your driver, also giving you the ability to tip them. They have buttons for 10%, 15%, 20%, and 25% tips which are automatically calculated based on your ride cost, or you can choose to add a custom tip. The tip will be added to your receipt the following business day and will be taken from the payment method you have set in your app. App usability and functionality is key when customers are looking to find an easy ride. Many times riders are in a hurry to get to work, standing in the cold or bad weather, or slightly inebriated after a night of drinking. Providing an app that is transparent, easy to use, and relatively simple is important to giving people the customer experience needed to keep coming back. Upon review, both the Uber and the Lyft application share the same basic features. Both apps are available for Android, iOS, and Windows Phone operating systems, so pretty much anybody with a smartphone can access them. Both Google Maps and Apple maps have also integrated Uber functionality into their system, so you can see and hail drivers around your area. This is an interesting feature and offers a way for somebody who might be lost and staring at their mapping app to easily request a ride without having to switch applications. As far as simplicity goes, both apps have become increasingly more complex which can affect individuals who aren’t as familiar with modern technology. The complexity and extra features are great for the tech-savvy and offer them an enhanced user experience, but this falls short on those who lack tech know-how. One small difference to take note of is Uber’s transparency when compared to Lyft. Uber gives customers a better idea of what their final fare price is going to be before they pay, whereas Lyft requires you to do a little bit of extra work. Within the Lyft app you can request a ‘fare quote’, but they don’t offer it up in plain sight the way that Uber does. If you’re a rider who’s conscious of their spending, Uber is looking out for you. As Uber has expanded into delivery and luxury services over the past year, their app has become slightly more clogged with advertisements and promotions for these services. Thankfully it’s not excessive, but it is noticeable, and if you’re not a fan of seeing these promotions, it might turn you away from the Uber app. Aside from these slight differences though, both apps work well and function on the same level. In most big cities, riders will have both the Uber and Lyft apps downloaded and tend to hitch a ride with whoever is offering cheaper fare or quicker response time. Over the past year, Uber has picked up some flack for a few freak accidents and several sexual misconduct allegations against some of their drivers. While unfortunate, Uber has done their best to crack down even harder when conducting criminal background checks to prevent unsavory characters from obtaining driver status. Overall, customers seem almost equally satisfied with both Uber and Lyft. Obviously riders will tend to be biased towards whoever’s cheaper on a given day, but in general, prices remain very similar. Most rideshare drivers are also very friendly as their tip depends upon it. For those visiting new cities or in unfamiliar areas, Uber and Lyft drivers can be some of the best sources of information. They spend all day traveling around their city and can usually recommend a wide variety of tourist attractions, good eats, and popular nightlife locations. Depending on what city you reside in and how friendly the people are, many drivers will even help you with your luggage and provide water or snacks to riders. Availability is an important consideration, and both companies provide service in over 400 countries. Uber, however, tends to be more readily available in smaller towns and cities, whereas Lyft primarily operates in and around major metropolitan areas. If you live in a rural area, Uber can usually provide response times of under 20 minutes, and in most big cities, you’re guaranteed a ride from either Uber or Lyft in under 10 minutes. Both Uber and Lyft offer an exceptional service at an affordable price. They’re cheaper and provide nicer vehicles for customers to ride in than traditional taxis, and have opened up a goldmine for potential entrepreneurs. In the article above we detailed the primary differences and small nuances that make each company stand out from the other in comparison, however, as far as who the better of the two competitors is, there is no cut and dry answer and that is a question that you will have to answer yourself with your own experiences. 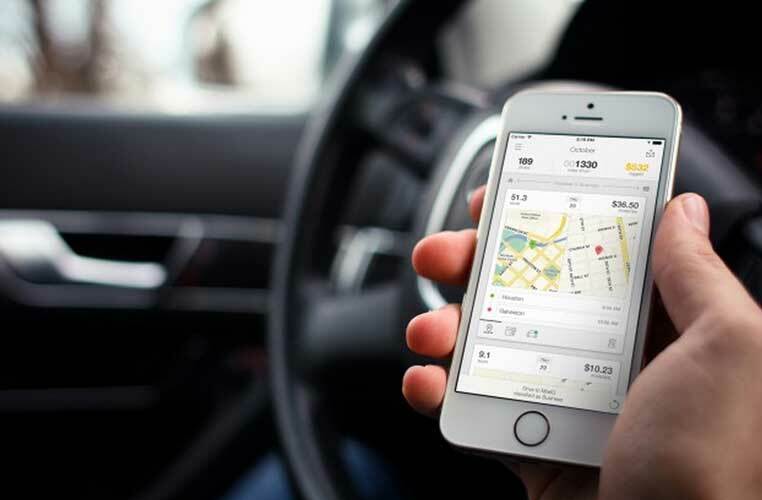 What is the Best Mileage Tracking Apps for Rideshare Drivers? If you’re driving for a ridesharing company like Uber or Lyft and haven’t been tracking your daily driving mileage, you’ve been doing it all wrong. Logging your daily miles is essential if you want to maximize your end of the year tax returns, and put money back into your pocket. As a ridesharing driver, you are an independent contractor and as such can benefit from IRS tax-cuts and other special deductions that they give to small business owners. The most considerable deduction you receive is for the miles you drive as an independent contractor. Every time you drive somewhere for work (which is all the time if you’re an Uber driver) can be written off as a “business expense,” and you are entitled to receive a 53 cent deduction per mile. The average full-time ridesharing driver who puts in 40-45 hours per week puts around 45,000 miles a year on their vehicle. If you do the math, that’s a deduction worth over ten grand! Now you may wonder, “Why not just use Uber’s built-in tracker?” Well, the problem is, Uber’s tracker only records the miles in which you have an actual rider in your car. It doesn’t take into account the fact that you had to drive 15 miles into town or all the times you had to drive 10 miles out of your way to pick up a customer. That’s where personal mileage trackers come in. They allow you to keep a record of all those extra miles so when tax time comes around, you have a digital record of everything you need to file your paperwork. With so many options to choose from, it can be hard to figure out which apps are worth it, and which ones are a waste of time, so I decided to put together a list of some of the best mileage tracking apps you can get your hands on. One of the simplest ways you can track your mileage is through Google Maps. It has built-in functionality that allows you to trace streets and find the distance between two points. It’s free and if you keep a record of all the rides you give in a particular day, it’s easy enough to go back and calculate how many miles you drove on your last shift. The only problem with Google Maps is that they don’t have a fully automated tracking feature yet, meaning that you have to enter all of your mileage and driving points manually. This can be rather tedious for many drivers who regularly travel hundreds of miles a day, or drivers who work in a busy city and give hundreds of separate rides every day. Waze is a great community based mapping software. It allows users to live-edit the map, and alert other users to potential hazards like roadblocks or accidents. However, Waze also has a great background feature that tracks all of your mileage while you have the app open on your phone screen. That means as long as you’re using your Waze app while driving, your miles will be tracked, and you can easily go back and view them from your account. Stride is a tax services company that will keep track of all your expenses and tax deductibles. Also offered as part of that service is a great mileage tracking system. With your Stride Drive app open, you can start and stop recording miles anytime you wish. There is even a feature that lets you log all of your related driving expenses such as fuel, oil changes, and maintenance. 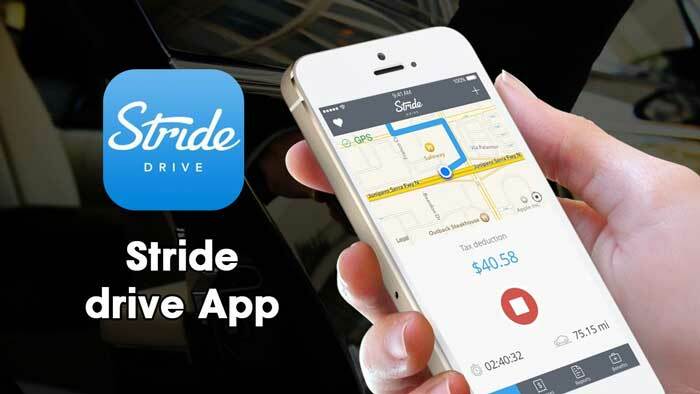 The thing that makes Stride Drive is one of the best mileage tracking apps is that it’s completely free! While many other major apps have switched to being a paid service, Stride has stood firm in their commitment to remain cost-free. Intuit’s QuickBooks software has long been one of the top competitors when it comes to book-keeping and tax management. QuickBooks Self-Employed has a total mileage and expense tracking suite. The best feature of this app is its ability to automate everything completely. You can set it up to track every mile you drive, and even link the software to your bank account, so it logs every purchase you make at a gas station. 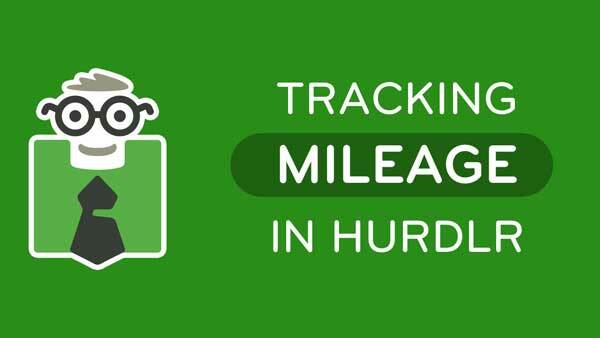 Hurdlr has an edge in the game as they were one of the first mileage and expense tracking apps to develop exclusively for the ridesharing industry. They later evolved to cater to other on-the-go entrepreneurs. They have a fully automated mileage tracking system that runs as a background program on your smartphone. Like, Quickbooks, Hurdlr also can sync to your bank accounts and automatically track your expenses. Another great selling point is Hurdlr’s metrics system. You can view your profile and see a spreadsheet displaying all of your recent activity. This allows you to keep track of your spending and see where you’re either losing or gaining money. MileIQ is a mileage tracking app made for the busy professional and the ridesharing driver alike. In fact, the folks over at Microsoft liked it so much that they now offer it as a complimentary service along with their Office365 business management software. MileIQ effortlessly syncs across all of your devices from smartphones to tablets and laptops. It runs in the background and quietly tracks all of your driving, even allowing you to add multiple vehicles to an account. TripLog has a full suite for on-the-road entrepreneurs. They have an easy to use mobile app that integrates smoothly with their desktop application. TripLog has a full fleet tracking feature, which makes it easy to keep track of multiple vehicles, expenses, and even DMV registrations. Unfortunately, some of the more advanced productivity features could be lost on the typical rideshare driver. They offer a free 30 day trial period, so if you’re looking to try something new, they’re worth a second look. 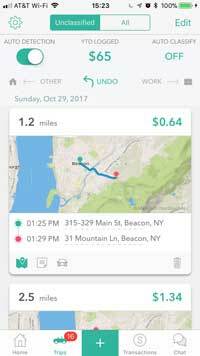 TrackMyDrive is a new player on the scene, and they offer smartphone mileage tracking and IRS reporting that syncs data across multiple devices (even smartwatches). They focus on simplicity and affordability and offer plans as cheap as $9 per year. Easy Logbook is Apple Store app for smartphones that makes it easy to keep track of one-way trips with the press of a button. Just punch the green button when you begin your trip, and the red when you complete your trip. 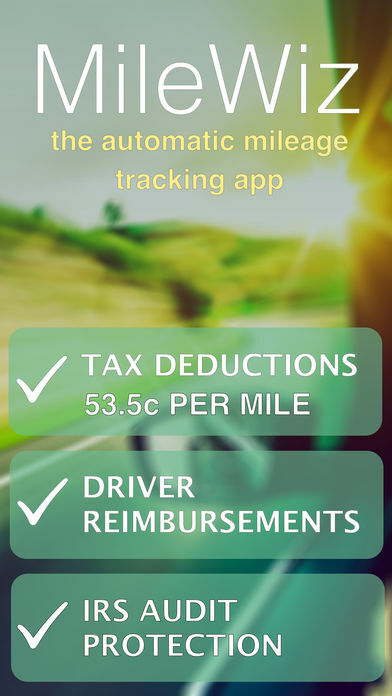 This app is a little primitive in comparison to more advanced mileage trackers that offer full business suites and IRS reporting, but it gets the job done and could be great for a part-time driver who does not need the more advanced features. MileWiz has an excellent mileage tracking app for both Android and iOS. $50 per year gets you a well-made app that keeps track of all the basics and automatically syncs data with a cloud server, so you never have to worry about losing your logs. The coolest feature about MileWiz is their built-in algorithm that automatically detects when you’re driving or not. This prevents the app from continually running in the background and draining your battery. If you’ve ever had the pleasure of using the Evernote app, this is their version of a mileage tracking app and offers the same degree of usability and speed that their users have come to expect. Not only does Everlance offer ridesharing mileage tracking, but they also allow you to integrate your business debit and credit cards into their system to keep track of expenses. They offer a free edition that has a 30 ride per month limit, or you can subscribe to their premium services for around $9 a month. SherpaShare claims to be “the ultimate rideshare assistance app,” and they have the reputation to back it up. They’ve been featured in The New York Times and on Fox Business. They offer a full online dashboard with both Android and iOS integration. 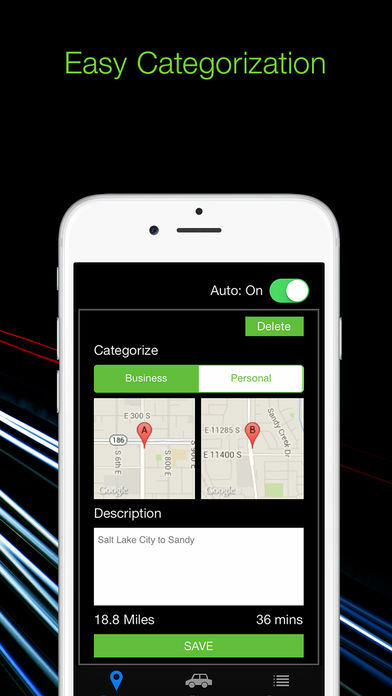 Not only do they offer mileage and expense tracking, but they also have an array of Driver Tools that alert you to traffic patterns and road hazards in your area. If you haven’t looked into mileage tracking apps before now is the time to start! Check out one of these great apps and start putting money back into your pocket today. Uber is one of the most revolutionary companies of the 21st Century. They completely disrupted the taxi industry, which before the advent of ridesharing was a very close-knit group and a hard industry to break into. Uber offers customers unprecedented ease of access with their app, allowing anybody to see information about their driver, and track their ride with a built-in mapping system. Uber has also taken the credit for significantly reducing incidents of drunk driving, as they are often easier, cheaper, and more comfortable than the average well-used crown victorias used by most taxi companies. Aside from benefitting the rider however, Uber has opened a whole new world to entrepreneurs. From the weekend warrior to full-time driver, you get to decide what time you clock-in and how many hours you work. Sounds pretty great right? The process of becoming an Uber driver is now easier than ever, you don’t need to attend grueling training sessions, and you do not need to apply for additional business licensing. All Uber asks is that you follow a few simple guidelines and requirements to register as a driver and start making money. They must have had at least one year of driving experience in the United States. For those under the age of 23, applicants must be able to prove at least three years of previous driving experience. Applicants must be willing to complete an online screening. This process will review your driving record as well as your criminal background. Uber requires that all of their drivers have a clean history on both fronts. To offer the best experience to their customers, Uber requires their drivers’ vehicles to be clean, presentable, and in full working order. This policy ensures that the rider will not only have any complaints about their trip, but it also ensures that in the event of an unforeseen accident, both the driver and the rider will be in a vehicle which has passed minimum safety tests. Depending on which city you will be driving in, Uber offers several different levels of service which I will briefly go over, along with the specific vehicle requirements of each of these levels. Vehicle must be a four-door sedan or mid-size car. It must be able to seat four passengers as well as the driver. The Drivers legal name must be listed on the vehicle’s insurance. Vehicle must have a year model of 2002 or newer for most major cities. Exceptions: New York, Pittsburgh, Seattle, and Washington DC require a year model of 2007 or newer. Vehicles must clean with no obvious cosmetic damage. For example, small scratches or dings are okay, but a significant dent or cracked windows are not. No Heavy Duty work trucks or large passenger vans. Standard four-door trucks and SUV’s are allowed, however. The vehicle cannot have any commercial branding or appear to be in likeness to a traditional taxi cab. No salvage titles or heavily modified vehicles. The vehicle must have the capacity to seat six passengers in addition to the driver. Vehicles must clean with no obvious cosmetic damage. The vehicle may not have any commercial branding or appear to be in likeness to a traditional taxi cab. 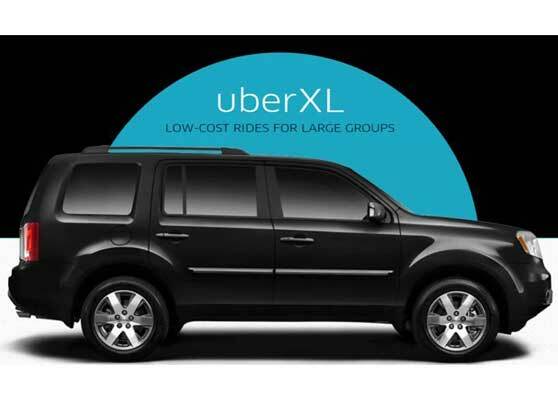 Even though large SUV’s and four-door pickup trucks are allowed for UberXL, Heavy Duty or commercial models are strictly prohibited. Four-door luxury or luxury-sport sedans which seat four passengers, not including the driver. Year model of 2008 or newer for most cities. All vehicles must have a full leather interior. No commercial branding or taxi vehicles. Vehicle must be fully registered and insured. Salvage vehicles are heavily modified cars are prohibited. 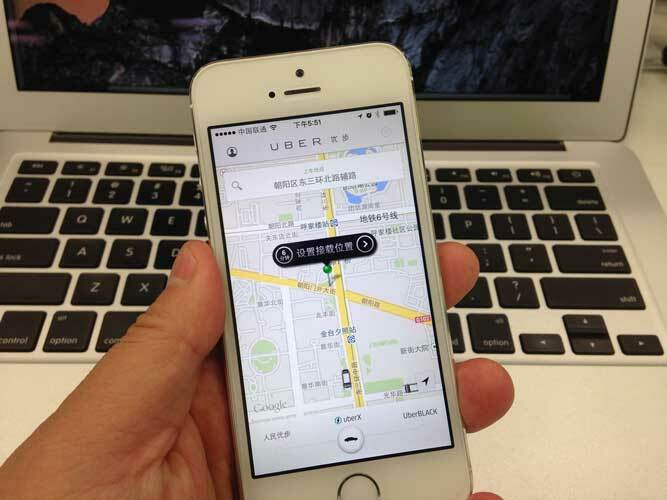 Vehicle must be able to pass Uber’s Vehicle Inspection. 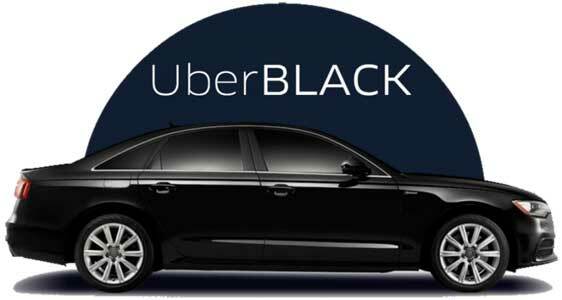 UberBlack is Uber’s luxury level chauffeur service and is available in most large cities. 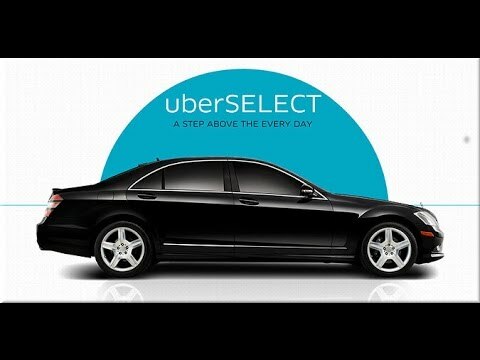 Drivers are paid significantly more than UberXL or UberSelect fares. Due to the professional environment, the vehicle requirements are far more strict than Uber’s other services. In addition to maintaining an excellent vehicle, drivers must also be commercially insured and carry a Transportation Charter Permit, which is commonly known as a TCP license. Must comfortably seat at least four passengers, not including the driver. Vehicle must be a model year of 2013 or newer. The vehicle must be a four-door sedan. The car must be fully registered in-state and commercially insured. Must be associated with a TCP permit. The car must be impeccably clean, with no damage to the interior or exterior. The vehicle is required to have an all-black exterior and interior. 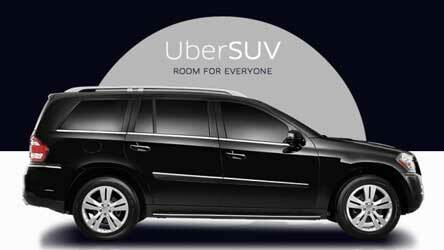 UberSUV is another branch of UberBlack, and offers the same chauffeur service, but gives customers the option of full-sized luxury SUV’s. The requirements are similar but slightly different. The vehicle must be a full-sized, four-door SUV. The SUV must be able to seat at least six passengers, not including the driver. The vehicle must be a model year of 2013 or newer. The SUV must be fully registered in-state and with commercial insurance. The SUV must be associated with a TCP Permit. Must have four doors and be on the list of UberLUX approved vehicles. Vehicle must be able to comfortably seat at least four passengers, not including the driver. Before you begin driving for Uber, they expect your vehicle to pass a full inspection and meet minimum safety standards. These inspections are given at Uber-approved garages and repair shops or special Uber activation centers. The best way to find an Uber-approved inspection center is to check out Uber’s help website (help.uber.com) and enter your city into the search bar. The results should display a full list of inspection centers. Most auto garage chains such as Jiffy Lube or Midas are usually approved as well. The Uber inspection is relatively easy to pass and covers basic mechanical and safety aspects that all cars should meet. The items that most frequently fail inspection are the brake pad test and the tire tread depth test. 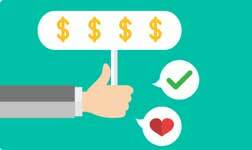 Should you need to shell out any money up front to meet these standards, however, Uber allows you to write them off as a business expense when you file your annual tax returns. How much cosmetic damage is allowed? Depending on which Uber service you are driving for the inspector may be more or less strict about the amount of cosmetic damage permitted to pass. If you are driving for UberX or UberXL, you can usually get away with a little bit more than if you’re driving for the premium UberBlack or UberLUX services. A good rule of thumb to keep in mind is that golf ball sized dings, scratches less than eight inches in length, and some minor upholstery wear are acceptable for most UberX and UberXL inspections. Can my car eventually become “too old” to continue driving for Uber? -The answer is yes. Uber requires a vehicle inspection each following year that you continue to drive for them. If Uber decides to change the minimum model year of vehicles in a certain location, you will be given the option to either terminate your employment or update your vehicle to an appropriate model. What if my vehicle qualifies for multiple Uber services? -The good news is if your vehicle qualifies for multiple services, you will receive service calls for each unless you request for Uber to only send you certain requests. For instance, if you had an UberSUV approved vehicle, and business was getting slow, you could continue to make fare money from responding to UberXL and UberX requests. What if I don’t own a car, can I use a rental vehicle? -The great news is that if you don’t currently own a vehicle, you can easily rent one and drive for Uber providing you are properly insured. Uber has recently partnered with both Hertz and Enterprise. These two rental agencies offer special weekly rates for Uber drivers, which are affordable and require no initial down payment. Another great option is Uber’s XChange program, which allows prospective drivers to lease lightly used Uber-approved vehicles. 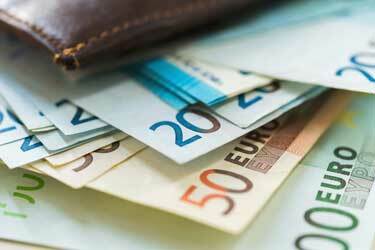 These short-term leases usually require a downpayment of less than $300 and offer weekly or monthly payments. 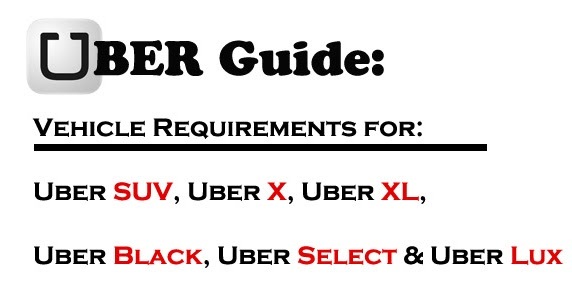 If you are looking to become an Uber driver, we hope that you have found this guide helpful. Uber is an excellent ridesharing company to work for and is known for treating it’s customers well. The Uber car requirements, while a bit extensive, are not hard to meet for most car owners who have a well-maintained vehicle, and even if you don’t have a vehicle Uber will work with you through their programs and partnerships to get you on the road and driving in no time. When it comes to taxi services like Lyft, you can sometimes have issues that may require a call to customer service. If you would like to ensure that everything goes smoothly when speaking to Lyft customer support, keep reading, as we will go over some tried and tested tips to make sure of just that. Without any further delay, let’s dive right into our list of tips. While this tip may seem strange, it is quite simple, and it can be applied to any form of customer support, not just for Lyft. If you have the time to wait before contacting Lyft customer service, we would recommend taking a look at their hours in your region and contacting them at a less crowded time. Contacting Lyft customer support when they have a lower call density means that you will be likely to spend less time waiting for a reply and more time dealing with your issue. If you hate getting in touch with customer support because it always feels like a waste of time, this is the tip for you. If you have no choice but to wait for your reply, let’s move on to our next tip. If you have an urgent message for Lyft customer service and you have a relatively long estimated waiting time for your reply, you should feel free to get other things done in the meantime. Instead of letting your time be wasted by your need to contact customer support, you can take advantage of it. For example, should you find yourself at home while sending your request for help, you can catch up on housework as you check your phone or computer for any email notifications from Lyft. Doing this lets you get some chores or anything else out of the way in your downtime. Before you contact customer service, you should have every bit of information about the ride in question available, should your request for customer service concern a particular trip. If your issue has to do with several Lyft rides, you will want to have them all noted down and ready for the support agent. Being ready with this information means that it will be much easier for you to get your support in a timely fashion since your representative won’t have to trawl through files to find your rides. Of course, it isn’t necessary to have every little bit of info about a trip, but it can help speed things up. Unlike some other services, Lyft does not have a phone number for their customer support team. 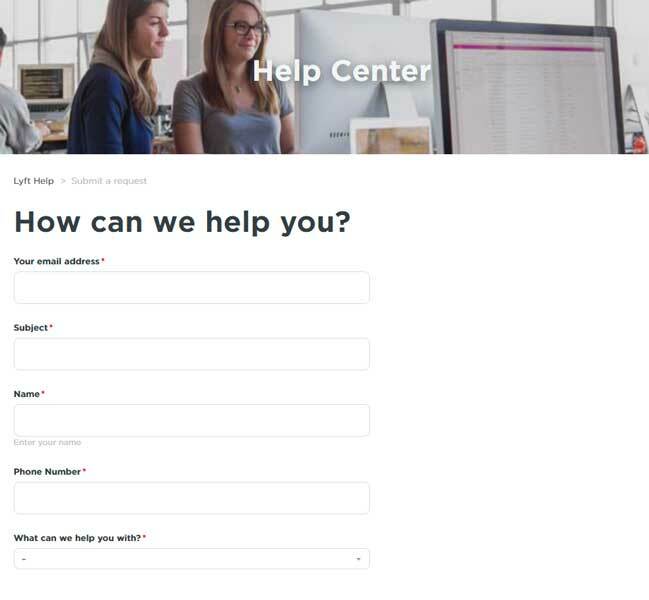 If you are not one to typically call customer support, you are in luck, since Lyft has a support form on their site. This form will let Lyft customer service know the nature of your issue, and they will then contact you. The usual way to get a response from Lyft customer service is to fill in this support form on their website, in which you include your email, subject, name, number, and the nature of your issue. From then on, you will likely be contacted through email, but phone support is still possible. We find that this is the most common issue with people trying to get in touch with Lyft support. While direct assistance is available through the app, many customers try to find a phone number that they can use to contact Lyft customer service, and they end up confused when there are conflicting results. Even though Lyft doesn’t have a customer service number that you can use to get in touch with someone through the phone, you will find that they provide quality support. Each reply from Lyft representatives is written out, as they do not use automated forms to reply to their customers. If you are looking to ensure that things progress as smoothly as they can, you will find that a little bit of courtesy can go a long way. Keep in mind that the person on the other end is a human being and they are just doing their job. Customer support agents are bound by their company’s rules, so things are not up to them. Taking the time to get to know your customer service rep’s name (at the very least) can help ensure that things progress more favorably and with greater ease. When on the line (or typing), showing a basic degree of politeness can make for a more pleasant interaction for both you and the representative. While contacting customer service for Lyft, you will want to avoid including info in your report that you would deem unnecessary. Though it may be integral to ensure that your customer support rep knows everything they need to, you can avoid providing any info that may not help with the resolution of your issue. Do not take this to mean that you should be curt and to the point, though you can be, should you please. As we stated in our previous tip, you will want to be polite, but you will also want to remain concise if you don’t want the investigation of your issue to take longer than it should. 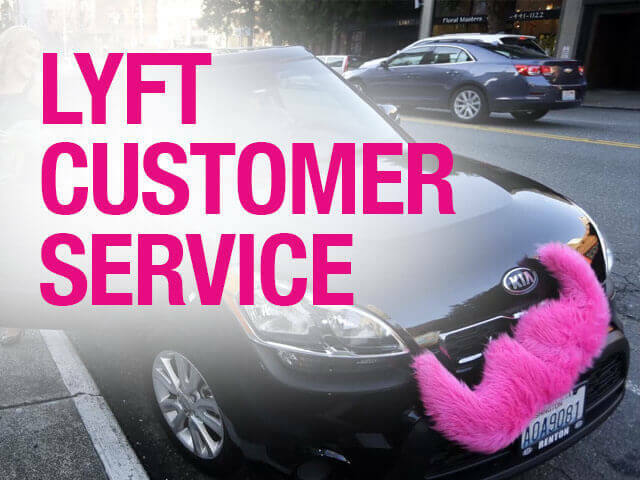 If you are having an issue with payment or something that relies on another party besides Lyft, it helps to ensure that there is no fault on that end before contacting Lyft customer support. For example, should your credit card be having some issues, it may not necessarily be on Lyft’s end. Of course, if your credit card works with other services, the issue likely resides with Lyft, but this is just the kind of basic investigation that you can do yourself before contacting customer support. It may be possible that you know more about your issue than someone who is potentially hundreds or even thousands of miles away. Do not take this to mean that Lyft customer service reps can’t help you, but a little bit of checking around may reveal some unexpected issues. Customer support often gets calls that aren’t even related to technical problems, as some people may just have problems navigating the interface. You can rest assured that customer service issues have heard it all, even the ones that work for Lyft. That being said, you don’t have to worry about needing help setting up your Lyft account, or other minor issues that customer service can help you with. While it may seem silly in retrospect that you couldn’t use your Lyft app because you had the wrong setting toggled, a call to customer service can save you some time searching through the app. Customer service reps get quite a few calls in a day, and it is not likely that they will remember a single call. When you are writing to a Lyft customer service agent, you will want to type in a manner that is easy to understand and correctly structured. An email that you have taken a few moments to correctly format will be much easier to read than one large block of text that has to be deciphered. Do not take this to mean that your writing has to be perfect, as customer support agents are trained to interpret messages that have been written on mobile or in a hasty fashion. Taking the time to ensure that your email is written correctly can help make things more clear for your customer service rep and speed up your issue resolution. 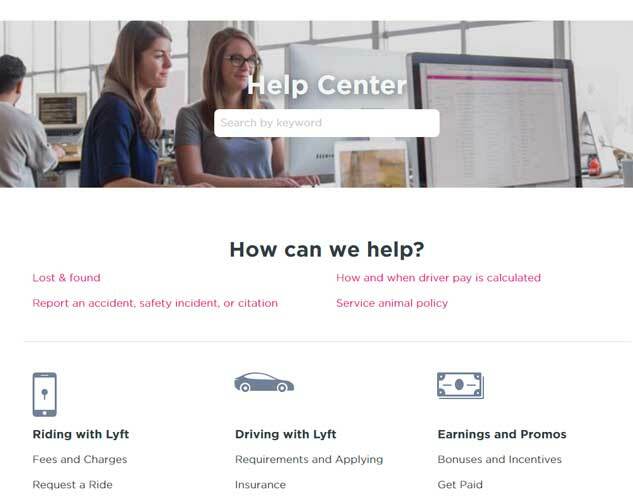 Before you contact customer support, you may wish to go over Lyft Help, which is the section of their site dedicated to customer support. In this corner of the Lyft website, you will find FAQs, info about payment, and many other resolutions to common issues that Lyft riders can experience. You can save a lot of time contacting customer support by briefly glancing at the info that is available on Lyft Help and seeing whether or not it concerns your issue. It is possible that there may be a simple and quick resolution to your problem, as long as it is relatively common. While the lack of a phone number may be confusing to customers who are used to being able to hear their customer service rep, you will find that Lyft’s support is rather streamlined. Since they are not regularly inundated with calls, Lyft can take the time to contact you and deal with issues on a case-by-case basis. Thank you for taking the time to go over our list of the ten best tips for dealing with Lyft customer support, we hope that we were able to help you out. Uber managed to single-handedly revolutionize the taxi industry, to the extent that some municipalities have even drafted by-laws protecting traditional taxi companies. Since Uber provides superior service at a fraction of the cost of standard taxi services, it is no wonder that they can’t compete. 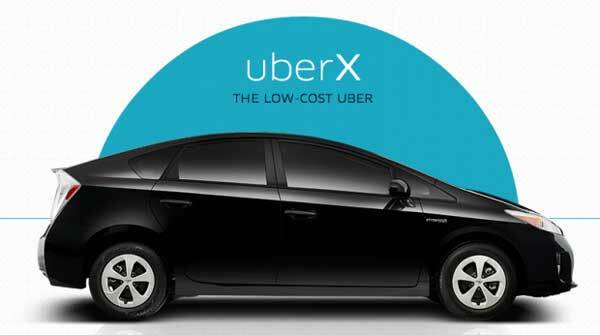 While low cost may be excellent for the end user, it is less than ideal for Uber drivers. If you are looking to start driving for Uber and you want to maximize your profits, there are a few things that you can do. Today, we will be going over one of the best ways to ensure that your uber driving is lucrative. Regardless of whether you are a veteran Uber driver, or if you are just starting out, you will want to ensure that you drive at the best possible times. If you are new to driving for Uber, you may be wondering exactly why you need to pick the right time to be an Uber driver. Why is it Crucial to Choose the Right Time to Drive for Uber? So why exactly should you take so much care when picking the best time to be an Uber driver? There are a few reasons, but in the end, you will find that it boils down to a single one: the number of passengers that will be available at any given time. More passengers means more profits, but there is more to take into account than just the sheer volume of passengers that will be available. When looking for the ideal time to be an Uber driver, you will also want to prioritize short, lucrative trips. Shorter trips tend to make you more money since your initial fee as a driver is higher than the rate that you get for the distance/time that you have to drive. If you are looking to make the most money as an Uber driver, you will want to pick a time that has a large volume of potential customers who will likely be searching for short hops around. A more substantial number of short trips also lets you fulfill Uber quests, where you need a certain amount of rides in a period of time. The main reason that you will make more money from Uber when there are more clients has surprisingly little to do with the availability of people who want to ride. You will typically be able to find a passenger with ease, as long as it isn’t in the dead of night on a weekday. You will want to find the best time to drive for Uber so that you may take advantage of their surge times. A surge time is a period during which prices are increased due to high demand in a specific area. If you are transporting passengers in a surge area, you will be likely to make more money. The surge system exists to ensure that there will always be enough Uber drivers to meet the demand of customers, and it does a relatively good job of that. If you want to make a significant profit as an Uber driver, you will need to take advantage of surge times whenever it is possible. Quests can help increase your income as a driver, but the most critical thing to look for in the best time to drive for Uber is a large number of potential passengers. Now that we have explained the importance of choosing the best time to Uber, let’s get into the actual times that you will want to work. Of course, there is no single best time to drive for Uber, since different drivers live in various places. The best time to drive for Uber in a city may be the worst time to drive for them when you live in a smaller town. 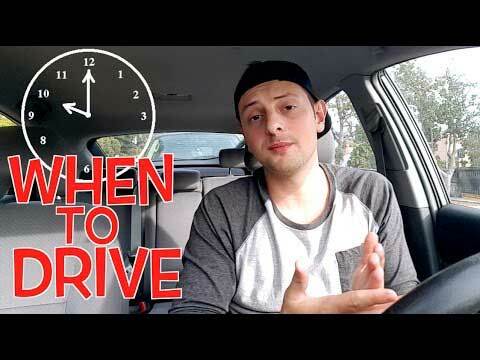 You will want to consider where you live when deciding on the ideal time to drive. If you live relatively close to an airport, for example, you will find that you can make good money ferrying passengers to the airport during the early hours of the morning. With a bit of experience, you will be able to gauge the best times to drive to get riders to their departing flights. While your location is crucial, you will find that there are a few times that are ideal regardless of where you live, so let’s get right into it. If you can handle the traffic, you may want to drive during rush hour, as surge prices are not uncommon at these times. Evening rush hour will usually persist from 4 PM to 7 PM, but it can sometimes last all the way until 9 PM, depending on the job that your rider works. Surge prices are frequent during rush hour since fewer drivers will want to deal with the hassle of traffic, but there will still be a significant number of potential riders since they will need to get home. Rush hour is ideal for more patient Uber drivers, but it can make you a decent amount of money. Most Uber drivers agree that the most profitable time to be a driver is during the peak hours for nightlife. Keep in mind that the best time for revenue doesn’t necessarily make it the most enjoyable time to be a driver. Driving for Uber during partying hours takes a driver with patience. Surge prices are so common during Fridays and Saturdays at night since there will be so many people going out and drinking. Taking an Uber is one of the best ways to avoid the risks associated with drunk driving, so you will find that the demand for Uber drivers spikes sharply during these times. Of course, there are some disadvantages to driving at this time. At the beginning of the night, things should start off relatively pleasantly since most of your passengers will be sober and in control of their faculties. As the night goes on, things will get progressively worse, however. When you reach the point in the night when people start going home (anywhere from 1 AM to 3 AM), you will find that your passengers will begin to get a little rowdier. Driving during these times means that you may have to deal with some potential messages and some customers that are less than polite. If you are relatively thick-skinned and you don’t mind having to clean up your car every once in a while, you will find that driving during nightlife hours can make you the most money. Since many drivers don’t want to deal with the trouble of driving during these hours, there is almost a guaranteed surge. Another common surge time is during sporting events like baseball or football games. 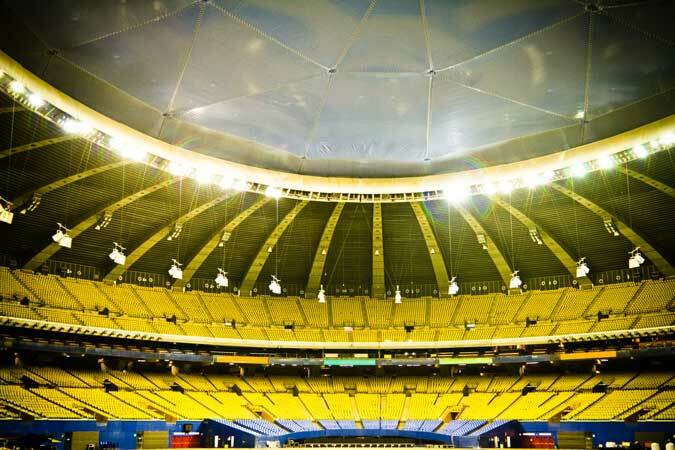 There will likely be a large number of fans trying to get to and from the stadium, especially if they want to enjoy some beers during the game. Sports events will typically result in a surge, but it depends on your city and your team’s popularity. If your team isn’t selling out their seats, it isn’t likely that there will be a significant surge during their games, but if we are talking about a franchise, a surge will be much more likely. While sports fans may get a little loud, you won’t have to deal with as much trouble as you would during nightlife hours. Driving for Uber before a concert is another great way to nearly guarantee a surge. As with sports events, people like to drink before and during concerts, so they will likely need a taxi. Even if your passengers aren’t drinkers, some people don’t want to deal with the hassle of finding parking during a concert. You will find that concert crowds will depend on the type of music that is being played. Your passengers will consist of everything from excited teenagers all the way to heavy metal fans dressed in black. 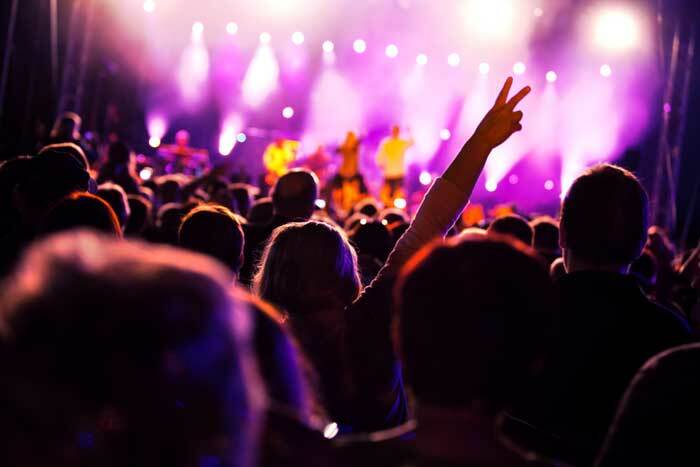 In our experience, concert crowds tend to be raucous but bearable. While these times are all ideal for making good money, you will have to be prepared for your driver rating to suffer a little bit. When riders are paying more money for a ride, it is likely that they will be more critical of their driver, even if that criticism ends up being unwarranted. If you are willing to trade some stars on your driver rating for better money, driving solely during surge times is the best way to operate. Keep in mind that Uber is implementing an algorithm to ensure that ratings are a little more fair during surge times, so they will likely start contributing less to your overall score. As you can see, there are many different times when you can drive for Uber and expect a more hefty payout than usual. We hope that we have been able to help you find the info that you needed. What are the Usual Causes When You Get Uber Waitlisted? Even for its success, you can still consider Uber as a new platform. Therefore, a lot of individuals are still oblivious to the terms and conditions that it has. Unless you have read their list of comprehensive policies and guidelines, you will never be so sure about their system. One of the most crucial problems that Uber partners (or drivers) encounter with Uber is getting waitlisted. This is a frustrating thing, considering that you are not allowed to engage in their operation unless your name or vehicle number is taken out from the list. However, this is not an issue anymore. 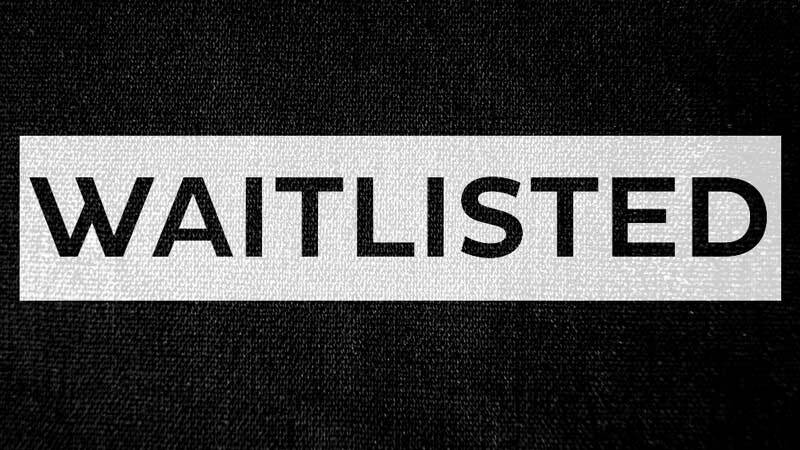 There is a considerable number of accounts that have experienced being waitlisted or deactivated. Fortunately, the deactivation is not permanent; as long as you can address the issue correctly, the system will be able to resolve your problem in no time. But how someone can get Uber waitlisted? Are there particular clauses that can immediately subject you to this painful predicament? The next section will clarify all these questions for you. If you are an Uber partner, make sure you pay attention to the following details. Uber partners are always in a tight spot whenever they operate. They have to be wary of the policies that the company has implemented to them upon the signing of their applications. However, they still have to realize that this is for the smoothness and convenience of both the driver and passenger. If you are an Uber driver, you should know that asking tips to your passengers is a big blunder. Fortunately, this doesn’t cause immediate termination. It is just a moral ethics that every driver should exercise concerning their customers. However, if the customer is the one that handed the tip first, then by all means, accept it. That is not a violation of Uber’s policies as the company doesn’t state this in their clauses. Just prohibit yourself from requesting extra fees because that would render your vehicle to scrutiny. If there is a person that reports to Uber that there is another individual is using your vehicle, you will immediately go to the waitlist. Uber will conduct a fair investigation of this case. The only drawback here is that the probing can take several weeks to months. To avoid this incident, you have to make sure that your Uber vehicle will not get used by anyone except you. Moreover, if you were seen driving an Uber car that is not yours, the suspension could be hammered to you and the other partner involved. You should be aware that letting your passengers pay through cash can kick you immediately towards the waitlist zone. If you accept this mode of payment, your account will become temporarily or permanently suspended. 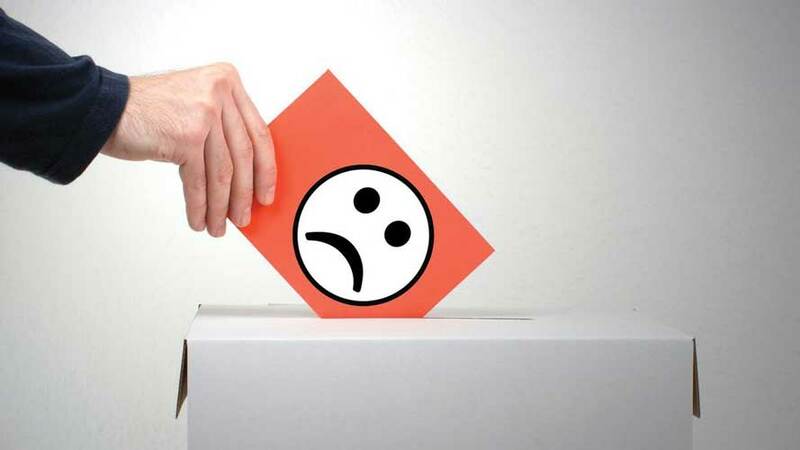 Permanent deactivation happens when you receive three or more complaints. You have to put in your mind that Uber is still a business. Therefore, its owners will never allow their partners to steal money from their system. You just have to abide by this policy. Otherwise, your tenure in Uber will become curtailed. Drivers that have ratings that are lower than 4.6 are susceptible to being waitlisted. Correctly, the rating system of Uber is anchored only on the total number of scores that you received. If you can remain about the safety margin, you can continue working on Uber. But if not, you have to improve your performance. Luckily, Uber still gives a second chance to drivers that have sanctions with this penalty. They have a customer service session in where you can enroll. However, the enrollment fees will not be shouldered by Uber. It is you who is going pay for the class. Any Uber accidents that got involved in accidents are at risk of being suspended. It doesn’t matter if it’s your fault or not. As long as your passenger will pass a complaint to Uber, your vehicle will become immediately waitlisted. The only way you can escape this hole is through a waiting game. You have to wait for the investigation to get finished before your car can become clear. If the probe suggests that it is your fault, the suspension can go on forever. In fact, even simple grievances against dysfunctional door handles and seat belts can result in this kind of punishment. Some Uber drivers out there are too picky when it comes to their passengers. Some will not open their doors to individuals that have nearby destinations because the fare will just be small. Other drivers will not accept a rider if the latter has a sophisticated route to take. If someone calls you, there is no excuse for you but to cater them. Cancelling the ride because of these minor details can result in account suspension. After all, Uber is trying to build its name in the industry. Therefore, it is not a surprise anymore if they are willing to strip out anyone who stains their reputation. Uber is quite meticulous when it comes to their drivers. They are doing this to make sure that the vehicle operator has an excellent reputation in the community. They will never take someone who has withstanding legal issues or criminal records. The background checking of Uber gets conducted regularly. It happens continuously, even if you are not aware of it. Of course, you have to comply with this scrutiny (which gets usually done with the help of Checker). If you do not provide your consent to Uber for the background check, your account will remain waitlisted. Knowing all these sanctions will prevent you from getting Uber waitlisted. By adhering the policies of the company, you can avoid your account from being terminated. If Uber is your primary source of income, then you have to abide their rules religiously. Of course, these caveats are not to scare you. Instead, consider them as your guidebook on how to operate an Uber car properly. Moreover, these policies are not too complicated. You don’t have to burden yourself with them, especially if you are a skilled and proficient driver.